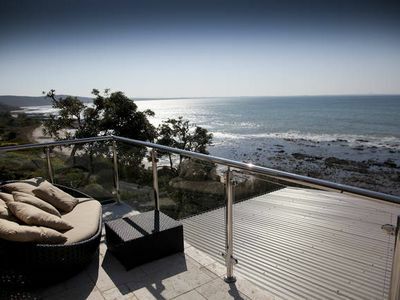 "Wake up to the sound of the waves breaking on the beach from Shellys at Culburra." 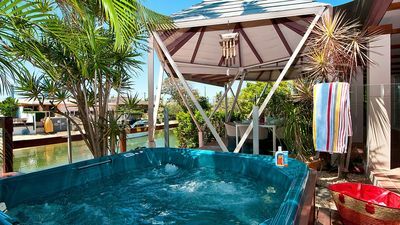 Shellys at Culburra is situated in a quiet street just 3 houses back from your own beach track to beautiful Culburra Beach - ideal for the perfect waves for surfers and body boarders, for the kids to cool off with a swim or for the family to enjoy a leisurely walk. 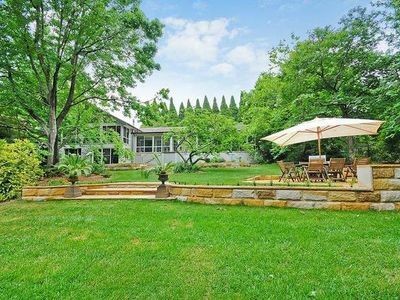 The home accommodates 8, and has a fully equipped kitchen. There is a Wii in the downstairs living area provided for entertainment. Just a short walk up the beach from the track is Crookhaven Heads Beach that is patrolled all summer school holidays. 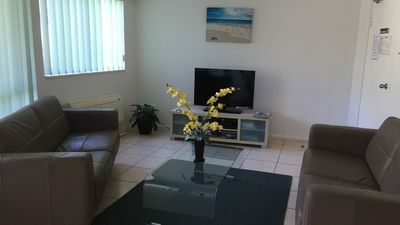 After spending a day enjoying the waves and sunshine on the beach relax with a BBQ on the balcony while the kids play in the yard or table tennis in the garage. The family pooch is welcome and as there is a fully fenced rear yard. 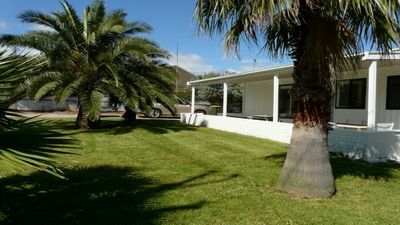 The owner has supplied a dog bed and Culburra Beach is dog friendly. 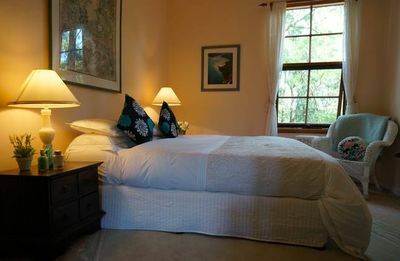 Linen Service full property all beds, $320 per stay. 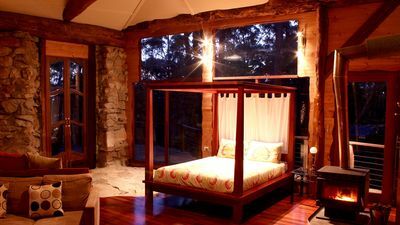 All beds will be freshly made for your arrival. The service includes sheets, pillowcases, bath towels, bath mats and hand towels. If you only require the linen service for a certain number of beds and not the entire property, please contact our bookings team for a quote. 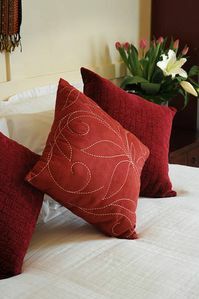 Please advise at time of booking if you would like to book the linen service or if you will be bringing you own linen. If you dont book the linen service then you will need to bring your own sheets and towels. There are pillows, blankets and quilts with covers on the beds. 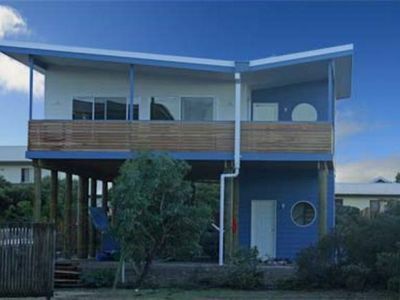 "Shellys at Culburra was absolutely perfect, its steps away from the beach which made it more amazing. 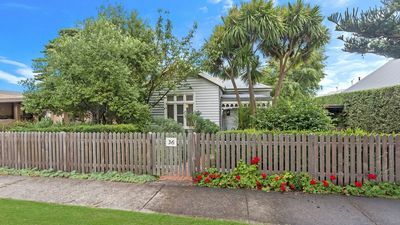 It is an older style house but dont let that fool you, it was very clean and had everything we possibly needed right down to the 60s, 70s 80s and 90s cds which we all loved. Beds were comfy, heaters heated the whole house magically and the amazing art work blows you away when you see them. All the family was over the moon. Not to mention the amazing supply of kids toys and activities for everyone downstairs in the garage, and firewood supplied. We will definitely be back!" 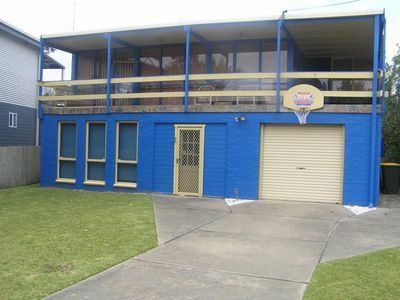 "Shellys at Culburra was a great place to stay. Wonderful for adults and kids. Fantastic location. We will for sure recommend this holiday home to our family and friends. Hope to stay there again"
"Great Location for family stays near the beach. 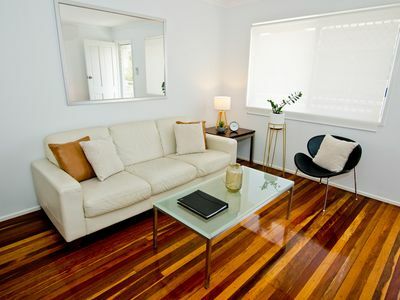 Basic Accommodation with lots of extras - Games etc." 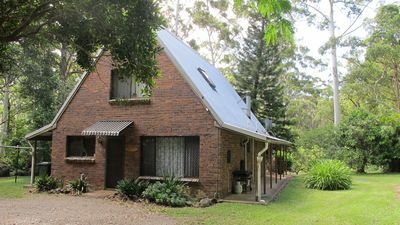 Campbell's Cottage - family favourite holiday location.